Back at work. Lot of elective case done today. Water is fine. Still about 75,000 without electricity. Lot of stores reopening. Saint Marys in Port Arthur is open and running also. Biggest hit was Bridge City and south Orange where flooding was up to 10 feet in places. I am appealing to our trauma network to attempt to find a missing person. A Mr. FRANK KEMERY was picked up one week ago on Monday in Galveston by an "out of town" ambulance and apparently taken either to the Ball High School or somewhere out of the area. He might have been transferred to the George R. Brown Convention Center in Houston, but I am so far unable to find out any information. His employer and family are looking for him and do not know where to start, thinking he would have surfaced by now. He was not registered at the Ben Taub General Hospital. This is a missing persons search, and not a clinical matter, so it is not a HIPPA violation. HELP if you can. I have had a very small role in the hurricane volunteer effort so far. I volunteered on Wednesday night at the Kelly shelter. It’s a pretty overwhelming atmosphere. They are set up in a huge warehouse, with the medical station at one end. There were many wonderful nurses and doctors volunteering under trying circumstances. I wish I had brought many things with me. Two of the most useful were hand sanitizer and books from my clinic’s Reach Out and Read program. The differences between the Obama and McCain health care proposals. How the two plans stack up against reform proposals of the AMA, AAFP, and other national specialty societies. 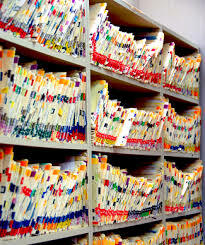 Whether Congress is likely to enact major health system reform next year regardless of who wins the presidential race. If you missed the great debate at Fall Conference, you can still read our detailed analysis of the John McCain and Barack Obama health care platforms and how they compare to TMA policy. While you’re at it, take the TMA 2008 Presidential Poll. Out of power and water for a few days. Now back up. Stayed at the hospital and an evacuation clinic most of the time. Still have a few patients from the coast. Hi, thank you for your concern. We only lost electricity for 36 hours and had damage to fence and trees, which are trivial compared to what others have experienced. Also have my Dad staying with us until his lights are back. Now trying to care for our patients under trying circumstances of limited communications and large surrounding areas of no electricity that persist. It can only get better, right? 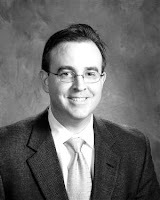 I am a physician at Mainland Medical Center in Texas City. I believe we were the only short term acute care hospital along the Gulf Freeway not to close our doors in advance of Hurricane Ike. I stayed on duty in house the night of the hurricane, but once the storm came we were forced to close our doors--but did take patients up until about 8:00 p.m. Power went out during the overnight hours but the backup generators were fully functional and overall the staff morale was excellent. Unfortunately, due to power loss in Texas City we lost running water and sewage in the early morning hours, resulting in the need to evacuate our facility. Fortunately I know of no patient deaths in our facility resulting from the storm. Although the OR was flooded, the hospital will reopen tomorrow and will have limited ER triage, minor surgical, and medical ICU capabilities. I am informed patients with igher level of illness will require transfer to another facility. It is our hope we will be able to decompress some of the medical needs of Galveston and the coastal areas during the closure of UTMB. 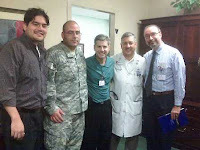 Here is a picture taken during Ike with Carlos, graduate of the Royal College of Art/London, my youngest son who volunteered throughout Ike; Guillermo just arrived minutes from the airport from Afghanistan and helped out; Todd Great, ceo and leader of our hospital; me, and Dr. Carl Vartian physician liasion for the hospital. All our suburban hospitals are filling up rather quickly. The medical center is having problems with power, water and/or telephone systems; so all the patients appear to be coming to local hospitals. As they fill, FEMA with their ambulances are taking the sick to San Antonio. It appears that there is a paradigm change, where in the past, patients would automatically go to the TMC; now it appears they are going to the local hospitals which really makes sense. For example, I have a patient just involved in a MVA and has a pulmonary contusion. She's quickly admitted and under my care with a pulmonary specialist to help out. all done in less than an hour. This can only help our patients. National Public Radio carried an excellent report on "All Things Considered" about how the University of Texas Medical Branch at Galveston was able to evacuate ALL of its patients from John Sealy Hospital before Hurricane Ike struck. (Joan Richardson, MD, Chief of Emergency Preparedness, UTMB): "The evacuation went great. We evacuated well over 300 people, and it just so happened that about 51 of them were newborns, neonates from the Neonatal Intensive Care Unit, and these are little bitty babies who were sick and had all kinds of life support systems to keep them going." Dr. Richardson: "You know, when you're transporting a 150 pound adult, you don't need the kind of specialized equipment that we need when we had these little babies. Many of those babies were on respirators. Many of those babies were on oxygen. They're all little bitty and so they need incubators to keep them warm, and so the transport of a neonate is a very specialized operation. And we're blessed that all kinds of people showed up to help us move those babies." (UTMB President David Callendar, MD): "No matter how well you prepare your facilities and your people are at risk, you do need to be prepared to evacuate all your patients. You need to be prepared to make that decision well in advance of the arrival of the storm. If you can't for some reason evacuate patients or you take patients during the storm, you're going to be operating under the most difficult circumstances. Some people might call it battlefield medicine conditions." My house is okay, and I had no flooding. My power came on today. I'm ready to go back to work when able. We continue to have power issues and lack of gas problems. Corporate HCA has secured a tanker that will park in our hospital parking lot with armed guards to help physicians and support staff with 10 gallons of gas per car if it's less than half full and this will be checked; and we will be charged @ $5.25/gallon. oh well; it beats being in line for hours and still not get gas. they will bill us later as they don't have the logistics to collect the money, cash or otherwise. The hospital is still in disaster mode, and there are armed guards to secure the place so we can work without having to be armed or worry that someone will enter and try something. The ER is now really busy with the injuries coming in, including the chain-saw alley type. The city still isn't confident of the water supply even though it's now coming in and with good pressure. The rule of thumb is bottled water until otherwise instructed. I still don't have power at the house, so my office is my residence for now. Anyway, I need to be close to my patients in case they need me or in case the emergency room needs me for a code stemi/acute myocardial infarction. Reporting from Austin today. I have my cell phone with me. Mayor is urging everyone to stay away from Beaumont. Sewage at 95-percent capacity. They’re concerned about back-up and resultant health problems. Water not drinkable for several days. Hospitals and downtown have power. I think the power will come back much quicker. Main problem is flooding. Power lines aren’t down like they were from Rita. Don’t think we’ll being doing anything elective until next week, at best. Hospitals are open for emergencies and the sick. The hospital is now feeling the brunt of all the injuries and health issues of people doing the clean-up; cuts, broken bones, back sprain and other sprains, stuff falling on them, and them falling all over the place. Ibuprofen will be a staple in their diets during this time, along with the aspirin and tylenol. Instead of "boomeritis," we ought to call it "ikeitis." Every joint is going to be injured or sprained. Everyone is feeling the relief of having survived the storm and perhaps a little bit of the survivor guilt when comparing what happened to Bolivar, Crystal Beach, High Island and Chambers County. The images we are now seeing are almost too much. Alma and I had an opportunity to drive through there recently and it was just beautiful with houses, trees, vegetation, plants of all sizes, colors and shapes, sand, beach and people walking, biking, having cook-outs and enjoying the beach. The picture in the Chronicle captures the devastation; one house and the rest is just sand all the way out till all you see is the sea. Unbelievable, really. The patients in the hospital are feeling very fortunate to have been in the hospital during this time; hey, dry, warm food, doctors tending to them and staff honoring all their requests wile they watch the images and reporters observation of the storm's damage. It took Guillermo almost 10 days to finally get here from Afghanistan; he's going to take every thing out of the freezer that's defrosted and barbeque it up and bring it to the staff here at the hospital. It'll be alot of work; but better that then throwing it away. They're in for some good food; I know I killed or caught it. Oh well. Hey, I'm beat and to bed. Big day tomorrow; I'll bet the office will be topping. So far so good. The ER has been hit pretty hard since so many physicians did not open their offices. It's all been the "I ran out of medicines," dialysis, insulin ran out, and COPD issues. Those are being triaged out ASAP to care for the very injured and very sick. After hospital rounds by our doctors we opened more beds to be ready for the injuried and sick patients that we expect in the coming week. We were told that the next 5 to 7 days, maybe more, there will be about 2 million people returning to this area, which means the pressure on the ER will go up significantly. I'm really proud of the the team of doctors, nurses, anxilary staff, and administration that worked as a team to achieve this degree of success to date. We have more challenges in the coming days, but the city is recovering, water and power are coming on, and this is really helping speed the recovery. I had a consult at the Bellaire hospital and drove over there. Bellaire looks like a war zone; trees, limbs, fences, debris of all descriptions all over the place. You see people helping their neighbors cleaning up and clearing the area; especially streets. The lines at all gas stations are very long. My son guillermo got in safely from Afghanistan. The Texas Medical Liability Trust (TMLT) Board of Governors has approved an average 4.7-percent cut in liability insurance rates for its policyholders and a 22.5-percent dividend for physicians renewing their policies, effective Jan. 1. Marriage and family therapists are not physicians and thus cannot practice medicine in Texas, the Texas Medical Association says in a lawsuit against the Texas State Board of Examiners of Marriage and Family Therapists. The Texas Health and Human Services Commission (HHS) is revamping the 2010 Texas Medicaid Provider Procedures Manual and wants physicians' opinions. The Centers for Medicare & Medicaid Services (CMS) says the annual satisfaction survey of physicians and other health care professionals in the Medicare system shows they are satisfied with services provided by Medicare fee-for-service contractors. TMA’s Web site experiences nearly 320,000 visitor sessions each month. With this kind of activity, can you afford not to advertise in TMA’s classified section? Embezzlers can be the nicest people. When you work closely with a person every day, it’s hard to imagine that person stealing from you. But embezzlement occurs in medical practices more often than you might think. Have you ever needed a continuing medical education (CME) transcript at 3 am on Christmas morning? If you ever do, just go the TMA Web site. Houston is the 4th largest city in the US. The Houston/Galveston greater area has upwards of 4.5 million people, depending on just where you draw the line. It is safe to say that NO ONE in this area is untouched by this storm. NO ONE. Galveston was totally under water from both the gulf and the bay. 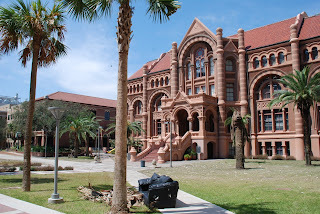 UTMB and its famous burn center was evacuated. Bolivar Island is still "off limits" to anyone visiting it. 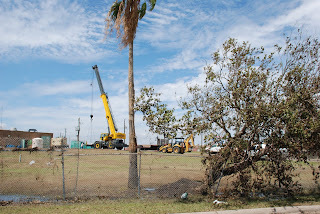 West Galveston Island, with its beach housesm was under water and many destroyed. The famous Balinese Room of Galveston is GONE. The Galveston Sea Wall is 17 feet above sea level and the sea ran over it. This was a wind and SEA SURGE storm, not particularly a wet storm. From Galveston to Houston one travels Interstate 45, and that is the route that IKE took. The areas of NASA, Kemah, Seabrook, are yet to be fully assessed. Over 95% of the area lost electrical power in the entire greater Houston area, and most are still without electricity. NO HOME or yard is without some sort of damage, either shingles, an entire roof, glass broken, fences down, or trees fallen and limbs broken. I do not mean just any tree. Many huge oak trees over 100 years old are broken like match sticks or up rooted. The many faithful health workers were at work despite their homes being blown apart. First, I must give tremendous credit and recognition to thousands of individual health heroes who were here at the Ben Taub General Hospital and many other hospitals for many hours straight. They gave and gave and then gave more of themselves so that others would have a place to receive health-related attention. Second, I was impressed by the leadership of the state government both during Gustav and Ike in the days before the storms hit, in creating a 5,000-plus person 2-3 times a day conference call to address known course of storm, local needs, evacuation, gas, search & rescue (SAR), and recovery. Both state, county, local governments were on this conference call as well as other assets such as hospitals, EMS agencies, etc. It appeared that most items were covered and addressed. It was obvious that jurisdictional turfs existed. At the LOCAL area, different jurisdictions set up in different locations: Galveston, Transtar (Harris County), HEC (City of Houston) and assets of the state, such as Texas Task Force 1 set up in several different locations. Ownership of various assets was under different, but communicating agencies. What we did not have during Ike, but did have during Katrina was a region wide JOINT UNIFIED COMMAND. We really needed that during and for the first 2 days after Ike hit. At the hospital and emergency room level, every hospital in the area did their part, but all entered the hours of the storm with full ICUs. We (and everyone else) had patients ready to be dismissed from the hospital, but we would have sent them to an area of high risk of flooding. That would not have been good, but we did need their bed for new ER patients. No local "medical" home health care type shelters were set up in the Greater Houston area. We must address this next time. In my view, this would be an excellent role for DMAT teams, to be both up front for some few minor problems and to establish an up to 500 bed "medical" observation shelter as opposed to a "clinic" or hospital. We really do not need mobile hospitals, what we need is the intermediate "medical" shelter to unload the existing local hospitals. By 12 hours after the storm had cleared the area the mass property destruction was noted and people began to clear their property, including using chain saws they had never read the instructions on, and climbing ladders. We had lots of falls. Also many hospitals wanted to "evacuate" merely because their rooms were warm and humid as they were only on emergency generators. The water for the entire community was feared to be contaminated due to low water pressure. Therefore, we were requested to receive patients with relatively minor conditions, such as a need for a lower temperatured room and nasal oxygen in an elderly patient. Some such patients came by outside the area contracted private ambulances who knew nothing about the working of the local EOCs, although those were multiple. We really needed the DMAT type run medical holding area shelter for these type of patients, who never needed to come to the hospital to use the hospital as a shelter. One of more DMATs were set up in the Greater Houston area, but initially coordination with existing Trauma Center facilities was sparse. If there was coordination, it was with one of the many supervisory silos. It became interesting to me that within 24 hours after the storm cleared, many of the persons in each of the silos, including representatives, and including press people, who by now were very tired; began to point fingers and to try to get credit for what was done right and dodge when there was a criticism for what went wrong. I could write a book on this subject. In the five-state area around Texas there is a fantastic trauma network among the trauma centers and trauma surgeons, headed up by Dr. Ron Stewart in San Antonio. This excellent integrated disaster network is as sophisticated as ANYTHING I have seen from the well funded federal programs, and it costs NOTHING. The doctors and nurses on this network and the network itself are well known to each of the federal, state, regional, county, and city EOS silos in the five-state region. However, neither for planning, implementation, evacuation, or recovery do these silos utilize this very mature sophisticated trauma network. It is almost as if the hands on trauma personnel who in at least six of the cities of the network (Houston, Galveston, San Antonio, New Orleans, Oklahoma City) have a composite experience of active involvement in more disasters than any group that I know about in the country; are purposefully omitted from the government run silos. In my humble opinion, this disconnect between the governmental mandated EOS silos and the JCAHO mandated trauma center communications led by the American College of Surgeons and their trauma center and disaster committee MUST somehow get together as has happened in the state of Connecticut. We are approaching 48 hours since it has been able to move around after the storm. There is lots of frustration and depression. Criticism that the government did not move fast enough to clear the roads, turn back on the power, "bring me water," etc. is distressing. Even by FEMA rules, such response is not required until 72 hours. If there is gas available, and if the electricity is back on, many complaints will disappear. I have tried to write concurrently with my frank feelings and observations of the real time. Sometimes I was more frustrated than others. On the whole I have been very proud of my local community, proud of the citizens, and so very proud of the FANTASTIC TEAM OF MEDICAL PROFESSIONALS AT THE BEN TAUB GENERAL HOSPITAL. This team could put a man on Mars in a week. This team seeks to be a resource to take care of the sickest of the sick, that no one else wants, especially during a crisis. This team could reach the illusive peace in the Middle East in five days. Congratulations to the many many unsung heroes at every unit level of this team. Finished rounds early today. The ER was cleared out by FEMA and transferred the patients to San Antonio last night. Good job guys. Our ER is now ready for more sick patients. In addition, we are getting the patients on the medical floors discharged if they are well enough to go home so as to have those beds available for any other sick patients that will most assuredly arrive later today. More physicians are showing up and rounding in the hospital; so I'm now in the office available for those patients who really feel like they need to be seen in an attempt to not have them in our ER if at all possible. My staff came in and we saw a few patients. The phones are now quiet so we closed and transferred the phone to the answering service. Guillermo made it in and Carlos is picking him up; leave the front lines of Afghanistan to the situation here with post-Ike issues. Still no power or water at home; but no damage. Got another call to the ER. Since my E Mail to you this AM things are about the same. Christus St E (and Baptist Herman Memorial) have moved the dialysis patients. Christus St E is still on generator. Hopefully they will be up on power in the next 2 days. Both hospitals are open for trauma ( fortunately there has been very little). Once power is up they will be fully open, but I doubt much will happen for several days as most patients are out ot town. Since the water is not drinkable, and concern is about the sewage backing up (I spoke with a friend of mine who a had some back up), I will probably take Betty to Austin tomorrow and then decide when to came back. Will give you a call in a couple of days. Well, the ER got busy as predicted. Boy did it. We went through the hospital and sent the well patients home to create space for the critical coming in. Cardiac arrests, hemo dialysis, chf patients, and the injured. We culled twice and now have just super sick folks in the hospital. The ER is packed. I mean packed. The kind that need admission and waiting for an ICU bed for treatment and care. We called FEMA and next news you know, we had about 11 ambulances with appropriate staff to transfer the sick, ready for admission, to San Antonio. And they will be back to get some more if we have them. I'm sure this is happening in the other hospitals across the city. This really greatly helps and allows us to care for the ones coming in tomorrow. We have city water now with good pressure so all the toilets are clear, and the hospital is looking clean and sharp. We're still on generator power. The staff is holding up well and the docs are all helping in the usual way by caring for our patients. We're having the usual Code Blues. We all saw through the ICU window the 11 ambulances coming down Richmond Ave with red lights flashing and all in convoy; wow, what a sight. With the city without power and lights it was very, very impressive. It was like the cavalry coming to help and boy, did we need them. They came from Riverside California; drove first to Dallas, then to San Antonio, then here to the command station here in Houston and then to our hospital ER with the assignment to clear out our sick to the San Antonio hospitals. Thank you, San Antonio and your hospitals, nurses, and of course you doctors. God love you. By clearing out our ER; we're able to care for more patients bright and early tomorrow. The city is slowly coming to life and the people are starting to move around as the power and water are coming on. Business, stores, eating places are beginning to open. Hopefully, by the end of the week, we'll start to have things closer to normal. According to the reports we're receiving; some parts may take longer unfortunately. Some areas were severely damaged and flooded. Several of our staff have homes partly or fully destroyed or flooded. Yet, they still are commited to our patients and remain here. Okay, the latest. Our hospital is full, the ER is full. We have requested FEMA to move all patients in the ER to San Antonio; we are waiting for instructions from them. Water just got going but we are uncertain of the safety so only bottle water for drinking at this time. Dalysis patients are a real concern with out the water pressure and sanity; the hospital can't accommodate the number that might need dialysis. Many of the outpatient facilities can't care for them without water, water pressure, and safe water. Another challenge, we'll figure something out. The physicians have done an outstanding job of caring and treating all the patients here. The problems we have encounted are very similar to (New Orleans physician) Mike Ellis' comments after the Katrina storm; e.g. people who stayed on the island now are in trouble and want help. Fortunately some did learn and left: and the process so far appears to be going as smoothly as could be expected for such a bad storm for the ones that didn't listen or prepare. I just finished rounds and the situation at this moment is the following: Some physicians and support staff can't get to the hospital. With the cold front and rains that it brought, flooding is now a real problem. With a saturated ground, the water has to go somewhere and causes its usual problems, i.e. into home and cars and hospitals. Mainland Hospital is out; it lost its roof and the roof over the OR rooms. All have been transferred. BayShore Hospital s out; flooding with sewage. St. Luke's is surrounded with water as is the TMC, so getting into and out is a real problem. So patients are left with our suburban hospitals like ours. We are now on strict water conservation. The entire county and surrounding area has this common problem. Basically all our hospitals are now on Internal Disaster Mode and addressing their unique and individual problems as they see fit. So far, we had no employee injury or patient event. Our ERs are starting to have the usual injury and "trying to clean-up the mess" accidents. We are also starting to have the acute sob and chest pains that usually occur in the aftermath. Our hospital staff is staying in areas of the professional bldg to rotate with the hospital staff working their shifts; again trying to have "fresh" folks for our patients. The docs are hanging in there; I think I'm running on adrenaline now. Had 2-3 hours sleep; got called back to the ER for acs (acute coronary syndrome). One MD was told there were no generators to be had and if they were available they are expensive. I've just crossed out my freezer; there go those ducks. Oh well. Also, the salmon and halibut. Oh well. My son, Guillermo just got into Dallas from Afghanistan and can't get into Houston. Needless to say, "a little pissed off" is a mild statement for the military just coming from the front line. Oh well. Carlos, my other, just collapses and sleeps when he can. Just got another call, gotta go. Have just left morning incident command briefing. Hospital still on LOCK DOWN. NO VISITORS. Hospital staff on two or more sleep shifts. Anticipate that staff that came in yesterday at noon - 6 PM will be in hospital until 12 noon tomorrow - Sunday. Operating Room for stat cases only. Yes we did some stat cases. Building leaked water on side of major wind assault. EMS calls to 911 are 65% more than for comparable time. EMS does not make runs when the wind is >65 MPH. As soon as the streets are safely passable, we anticipate a huge number of patients who have lost their medicines, scraps, diabetes out of control. etc. We anticipate that we will have referals from other hospitals to take complex injuries. Which we will do. We deeply appreciate the many e-mails and comments of support. Your support, prayers, e-mails give us added and renewed strength to do what it is that all of us were created for: Serve our fellow man during their time of need. And that we will do to the best of our ability. One word of advice to each and every one of you. At some time in the future, YOU will be looked to by your associates to assume leadership at a time of unexpected challenges. Most of the time there will not have been a blue print. Take good records and keep your memory sharp in regard to what you learn from watching this natural disaster. These lessons will aid you in your leadership during that future time. Eye of storm is now passing over Galveston. Huge Oak Tree down on McGreggor St - the access to the Ben Taub Hospital. Any traffic has to come in a back way. Restaurant in downtown Houston burned to the ground. Three employees were sheltering there. wo with near 100% body burns and one with hand burns and inhalation burns. The latter with us and the two former at Memorial Hermann Hospital. Over 1 million people without electricity and therefore air conditioning. NO FLOODING in Houston YET. Winds up to 100 MPH in gusts, steady at about 65 mph. We have lots of employees who are here to weather the storm, Nurses, doctors, etc. Will be up to two weeks (or more) to get electricity restored. Not much more news right now. The winds are around 60 now but most of Beaumont has electric power. A lot of power outages in Port Arthur and mid county. We expect a lot more power outages when the wind changes. May or may not get back to you later. We had our first meeting at 7 pm to plan the reminder of the night. We have over 600 people sleeping in the hospital to care for the 160 patient's in the hospital all of them a very sick. We anticipate a pretty bad day tomorrow depending on the amount of damage the city suffers. We have about 15 physicians including myself who are sleeping in the hospital. I'll stay on line for as long as possible. My son, Carlos, just came in; he's been helping with security and with all the air mattress inflation for the dependents that are in the professional bldg. there are about 200 to 250 on there. the hospital fed everyone at 8 pm. We are to meet at 9 am to access the situation; we are predicting that the physicians here will have to care for the 160 patients that are currently here. As saturday goes it's predicted that the emergency room will get real busy. Gotta go; I'm being paged. Southeast Texas (Jefferson, Orange, and Hardin Counties) is suffering from "Hurricane Fatigue Syndrome." We are in our third mandatory evacuation in a month (Eduardo, Gustav, and Ike). The previous two "missed us" but found folks returning with orthopaedic injuries, lost wages, and gas, food, and lodging bills. Hopefully this has not let them become complacent should Ike be the real deal. The mandatory evacuation was called here yesterday at 6 am, throwing every patient and health care provider into another parking lot on our highways north and west. No chance to evacuate east as Gustav left widespread power outages in Baton Rouge and all of southwest Louisiana. Greatest danger being surge on this bad boy, wind and rain will likely pale in comparison. The surge up Galveston Bay will be catostrophic in my amateur meteorologist opinion, and may do same up Sabine Lake. Right on time at 5 pm the major outer bands of wind and rain arrived in Beaumont while I was cooking ribs on the grill and laughing at the dogs play without any idea of what was about to happen. Now the long wait begins. Rita trimmed the heavy timber of Beaumont in 2005, but there is plenty of coniferous and deciduous forest surrounding our homes and offices. More importantly, these coastal areas may have the levees of south Jefferson County breeched with the predicted 20+ foot surge over the 15 foot levees in Port Arthur. Connie and me are sheltered in place at home with five dogs, two birds, and two octogenarian guests. A lawsuit is alot like a hurricane. If you practice medicine on the Texas Gulf Coast, you can count on both. More to follow if able. May God grant safety for all who are in harm's way.